Here are seven resolutions that are best completed with an early start, especially if you're hoping to finish them early on in the new year. Get a jump-start on that 2019 to-do list. The holiday season has arrived, and as you welcome family and friends to your home to celebrate, many of those home improvement projects you haven’t managed to tackle throughout the year can easily end up on the New Year’s resolution list. But in many cases you would be better off starting that list before the countdown to midnight on New Year’s Eve. Here are seven resolutions that are best completed with an early start, especially if you’re hoping to finish them early on in the new year. Decluttering is a popular New Year’s resolution centered around getting your home in order, though it’s also a popular task to fall by the wayside when it proves difficult. To keep yourself on track, get started now and schedule time to spend organizing, sorting through piles of clothes and papers and removing unwanted items from your home. “Write it down how you write down other appointments,” says Rachel Rosenthal, an organizing expert and founder of organizing firm Rachel and Company, based in the District of Columbia. 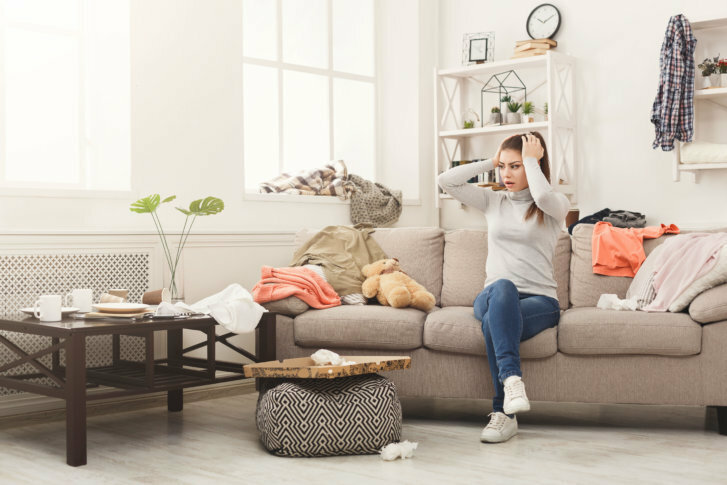 Even if it’s just 20 minutes at a time, scheduling your decluttering time like a visit to the doctor keeps you from skipping it accidentally — or on purpose — in the midst of other chores and errands.